My wife got me a 3D Printer (the MonoPrice Maker Select V2) for Christmas, and while I initially had it connected directly to my PC, when I rearranged things it was no longer close enough to be practical to connect with a USB cable. I backed the C.H.I.P. kickstarter a while back, and had a $9 computer I had played with for a while and then not gone back to, so it seemed like a great opportunity to put it to use. I had been using Repetier-Host on my PC with its embedded Repetier-Server, so I really wanted to keep using the software as it was my favorite of the 3D printing apps I’ve tried so far. If you are an experienced Linux user, this is a very straightforward process. When I went looking to see if Repetier-Server would run on the C.H.I.P. pretty much the only thing I found was “it should” and some references to running it on the Raspberry Pi. Besides the instructions themselves, another major intent of this article is just to say that yes, it works, and it doesn’t require a lot of convoluted process to set up. I had flashed my C.H.I.P. right after I got it so I could use the VGA adapter I got with it, but when I tried to set it up (monitor, keyboard, and all) connected to the 3D printer, I ran into some issues. It wasn’t connecting to the printer, and when I installed Repetier-Server it couldn’t find the printer. After some searching around (most of the stuff out there is for the Raspberry Pi, which is a very similar device) it seems like the first builds of the C.H.I.P. firmware didn’t include the USB Serial drivers in the kernel. Apparently, /dev/ttyUSB0 should have been a choice, and it wasn’t there. I also hadn’t used the device in quite a while, so I figured it was a good idea to reflash my C.H.I.P. 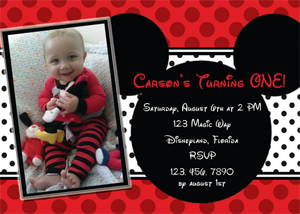 to get the latest and greatest image for the device and hope this was resolved. As it turns out, in the 4.4 firmware at least, it is! 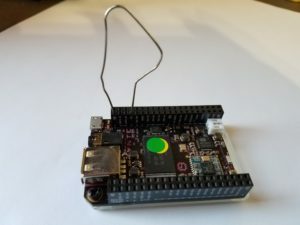 After that is done, head over to http://flash.getchip.com and follow the wizard to flash your device. I choose the “Headless Kernel 4.4” image since I was going to set this up as a server without a monitor and keyboard. You might want a different image if you intend to make the repetier server a side-job for your C.H.I.P. After flashing, I needed to set up my C.H.I.P. so it would connect to my wireless network. There are some excellent directions here: https://www.dexterindustries.com/howto/connect-to-chip-headless-mode/ on doing just that. Just remember to be patient after plugging in your C.H.I.P. it takes a few seconds for the computer to boot up and be available via the COM port. Once you’ve connected to your network and can connect to your C.H.I.P. via SSH over wireless (use the same putty application you used to set up the network), it is time to perform some updates. If you logged in as root, you can follow the commands below directly. If you are using one of the desktop firmware version, you will need to preface these commands with “sudo” and provide the “chip” when the system asks for a password. This will likely take a few minutes, as there are a lot of packages to update from the base firmware. Just let it run, and pick back up when it finishes. Troubleshooting note: I had an issue where the RepetierServer service did not start when I restarted my C.H.I.P. After connecting with putty and experimenting, I found that, for some reason, the repetierserver user had disappeared from /etc/passwd. I just reran the dpkg command above and reinstalled and didn’t have an issue after that. 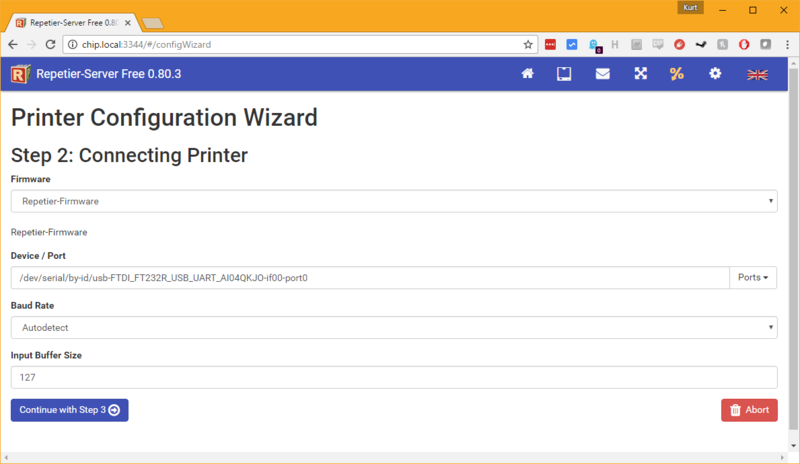 Follow through the rest of the wizard (the details will be dependent on your particular printer), and you should now have a printer now available on your server. Now that the server is set up, head over to https://www.repetier.com/ and download the most recent Repetier-Host for your OS. I’m using Windows, but I suspect the Mac and Linux versions are not very different. 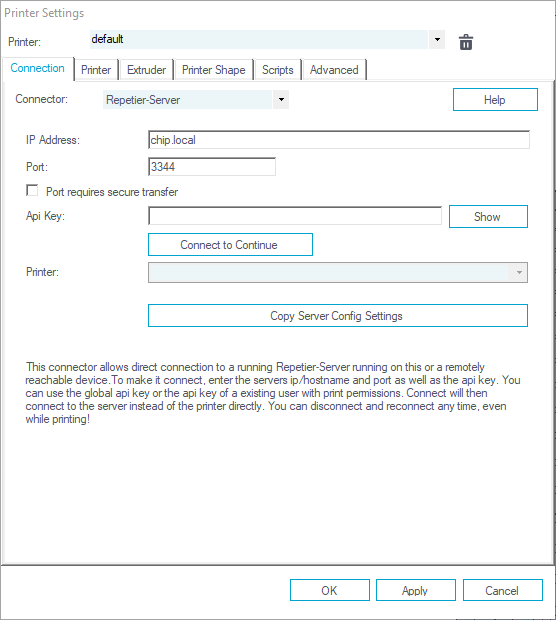 Once you have Repetier-Host installed (you can install without the local repetier-server), we need to configure the program to connect to the server we just set up. Open up Repetier-Host and click on the “Connect” button. It should fail and ask you if you want to open the printer settings dialog (alternatively, you can select Config -> Printer Settings from the menu bar). On the Connection tab, select Repetier-Server as the Connector, and enter chip.local for the IP address. Now, we need to enter our API key to allow us to connect to the server. Click on the “Show” button next to the API key field and your default browser will open to the Repetier server’s connectivity screen. Copy the API key (a long hex value) and past it into the API Key field in the dialog box above and click “Connect to Continue”. Your printer should be automatically selected. If not, click the dropdown for Printer and select it. 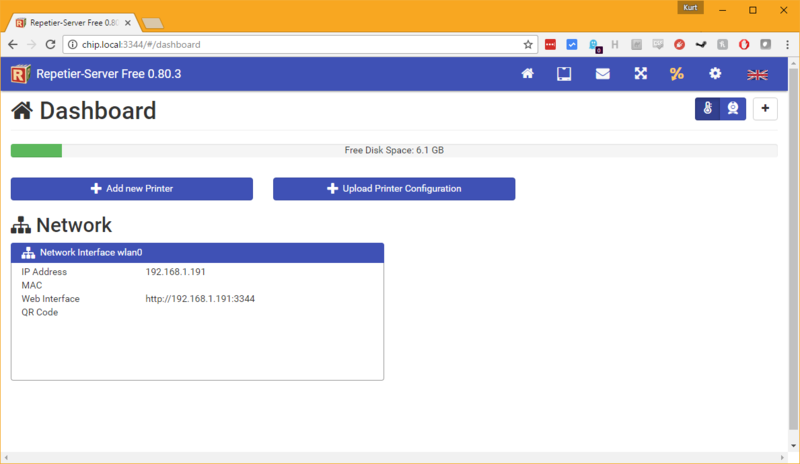 Click on “Copy Server Config Settings” to transfer information about your printer (size, heated bed, etc) to Repetier-Host. You can review the other tabs in this dialog if you like. Again, these details will depend on your printer model. Click “Ok” when done, and you are ready to print!